JP brings to SB specialized expertise in the areas of finance and accounting, as well as strengthens the company’s position in today’s emerging markets in Asia. Prior to joining SB, JP supervised a team of auditors at RSM McGladrey& Pullen, LLP in New York. As Chief Financial Officer at U.S. Financial Investment Inc., a broker dealer registered with the SEC and NASD, he dealt with auditors and regulators in the area of audits, examinations, finance, budgets, costs and taxes. At U.S. Securities & Futures Corp., he contributed significantly to the company’s tremendous growth in the securities & commodities brokerage business. 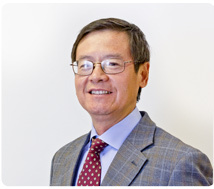 He holds a CPA certification and master’s degree in International Economics and Finance from Johns Hopkins University. Early in his career, JP was involved as a Foreign Service Officer for the Ministry of Foreign Affairs in Beijing, China. He was the winner in 1984 of the “Distinguished Foreign Service Award” for his contribution and dedication during the diplomatic talks between China and the UK over the return of Hong Kong.